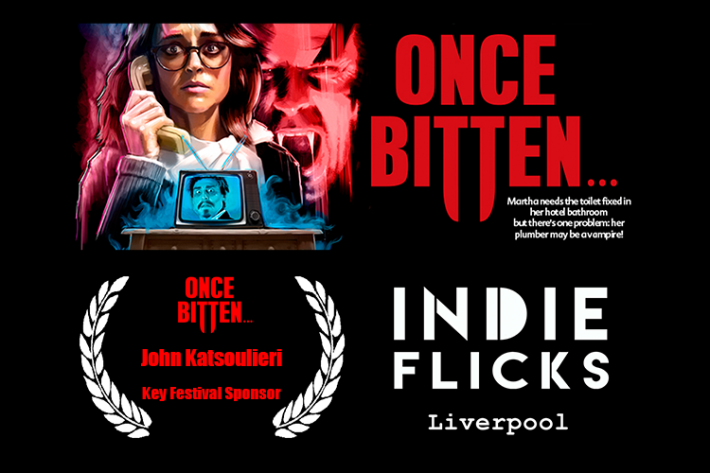 Tonight Once Bitten is screening at IndieFlicks Monthly Film Festival in Liverpool. Our Key Festival Sponsor for the event is John Katsoulieri who sadly passed last month. We love you John and miss you every day.